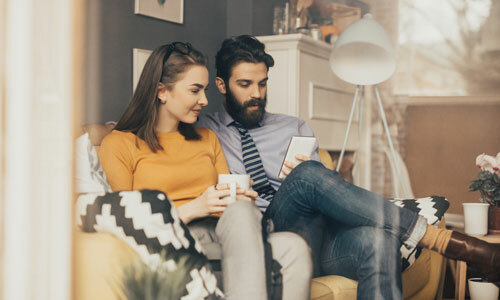 Despite low inventory and rising housing costs, home purchases by millennials grew last year, marking the fifth consecutive year they’ve been the most active generation of buyers, according to a recent study from the National Association of Realtors. The 2018 Home Buyer and Seller Generational Trends study found that 36 percent of all home purchases were from millennials — up from 24 percent in 2016 — with 65 percent of them being first-time homebuyers. Though home sales to millennials hit their highest mark in the survey, inventory constraints pushed home prices beyond what many could afford, resulting in the generation’s overall under-performance. With a bigger household income of $88,200 than $82,000 last year, the typical millennial surveyed purchased a 1,800-square-foot home at a higher cost — $220,000, compared to $205,000 a year ago. Moreover, millennials had higher student debt balances than in 2017’s survey, with more reporting saving for a down payment as the greatest challenge in purchasing a home. Unless more Gen X homeowners decide to sell and the construction of entry-level homes significantly picks up, Yun says many millennial buyers will continue to rent. The NAR survey found that millennials who are in the market to buy a home prioritize proximity to friends and family to the same extent of older baby boomers. While the quality of a neighborhood remains the most influential factor for buyers of all ages, millennials put a home’s proximity to friends and family over the location and quality of a school. In line with the growing percentage of millennial buyers who have a least one child — 52 percent in 2017, 49 percent a year ago and 43 percent in 2015 — is the increased need for larger homes at an affordable cost. Only 15 percent of millennials bought a home in an urban area in 2017, with more than half of millennial buyers purchasing homes in the suburbs. Eighty-five percent of millennial buyers bought single-family homes, making it the primary type of property purchased. Just 2 percent of millennials bought condos. “While there is an overall trend among households young and old to migrate towards urban areas, the very low production of new condos means there are few affordable options for buyers — especially millennials,” Yun says. Millennials were the generation mostly likely to purchase a home through a real estate agent. Of the 90 percent of millennial buyers helped by a real estate agent, 75 percent cited the assistance provided throughout the buying process as the leading benefit of working with a real estate agent. “Especially in today’s fast-moving housing market, consumers of all ages want a Realtor to guide them through the exhilarating, yet nerve-wracking experience of buying or selling a home,” NAR President Elizabeth Mendenhall said.